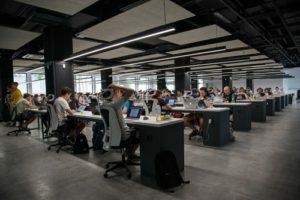 Are you about to expand your business or are you moving to a new office in New York City’s area? Both of these are very important moments for any business entrepreneur, and neither should be taken lightly. That is why you should go ahead and hire the best of the best commercial movers New York has to offer. We, the Verrazano Moving and Storage Staten Island should be your choice. Our moving company has been relocating offices and even entire firms for three whole generations. This makes us the most highly qualified moving company in the area. 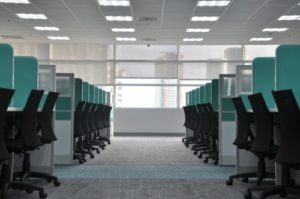 As relocating an office or an entire business is a really sensitive task, you are going to need our help. What makes the Verrazano Moving and Storage Staten Island movers so good are years and years of hard work. We have worked with countless clients throughout the years. The reactions to our work have been nothing short for the best. The reason for this is quite simple. Someone moving your belongings, whether a few blocks away or across the country, is not an everyday thing for you. Of all the commercial movers New York has, you have chosen us. That means something for us, and it makes us work a lot harder then. That is the reason why our customers in the past have always been so content. The way we conduct ourselves is very strict and direct. However, it is also caring as, as we said, letting someone handle your valuable belongings may be really challenging for you. That is why we feel that we have to take greater care than one might expect. We understand how you may feel as we are like you. It is any person’s nature to feel protective over their belongings. This is a fact that no one can deny. This fact is also the thing that drives us to work so excessively and thrive under the toughest of circumstances. We believe that in dedication lies the key to succeeding in life, not just in your job. That is why you can always count on us to do our best. Looking for the best commercial movers New York? You are at the right place! When looking for the best commercial movers New York to deal with your belongings, you have to be careful. There are many there, in all walks of life, who may try to cross you and use you. That is why you have to be very careful at all times. This is especially true when looking for the best residential or commercial movers New York can offer to you. Thankfully, there are ways to figure out whether those people you are considering to hire are a good choice or not. One of those is the variety of services that they may offer. In our menu of services, you will surely find something for yourself. We proud ourselves for that. It is not easy to be constantly better than your competition. However, we are constantly able to do that thanks to the massive experience and tradition. These two run in our firm for three decades and are what makes us so good. That is why we can help you with any kind of move that you may need. There are simply so many different situations that you may require our assistance with, which is why we are constantly updating our services. Whether you need long or short distance moves, we are going to help you out with it. We know that moving can often be very hard for most people. Stress is often one of the following consequences of an average move. Every single one of our movers knows that. This is why we have trained professionals who are capable of dealing with any type of situation that you may be in. So, if you are moving your office to another town, you are surely moving your home too. 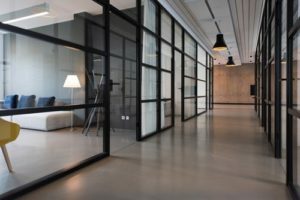 What sets us apart from other commercial movers New York offers is that we are capable of assisting you with all the possible moving scenarios you may be in. Our movers are able to adapt to any viable scenario which is another proof of their worth. What makes us stand out even more among commercial movers New York is that moving with us is going to be a lot easier than with them. Why? Because our staff is exclusive of the top shelf quality. As the old saying says “the chain is strong as its weakest link”. That is why we insist on our movers being the best they can be. Our movers are highly trained and experienced. We guarantee that the service that they will provide to you is going to be efficient and affordable. If you hire us, you will never get a group of untrained, inexperienced movers. The rates for our services are affordable for everyone and once we are done with your move, you will see that the payment we require is a great deal compared with the quality of our services. Together, whatever the task at hand, we can realize it together. Through our many times practiced and tested routines, your commercial move is going to be treated with care and diligence. By contacting us, the Verrazano Moving and Storage Staten Island movers right away, you will be making the possible choice. Firstly, because it gives you a better chance of picking the best possible date for your move. This can be really influential on the outcome of the move, as during it your life is probably going to be at least slightly chaotic. So, having us backing you up is going to be of great importance for you. That is why you should contact us as soon as you decide where and when you want your office to be moved.